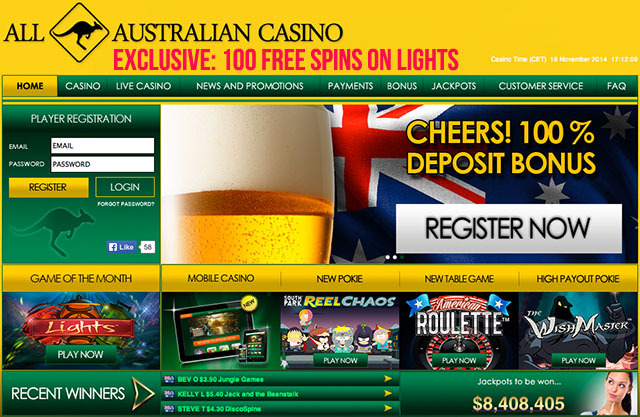 All Australian Casino is an online casino that has been launched for residents of Australia to ensure that they enjoy a memorable online gaming experience. All Australian Casino belongs to a large group of casinos which are owned by the L & L Group. The L & L Group is licensed in Malta and there are many casinos which belong to their exclusive brand, such as: No Bonus Casino, Adler Casino, Free Spins Casino, Karl Casino, Norskeautomater, and Polder Casino. The casino slot games at All Australian Casino are powered by Net Entertainment, one of the leading casino software developers. All Australian Casino is offering all Australian players a great Welcome Bonus Offer of 100% up to $500 AUD. 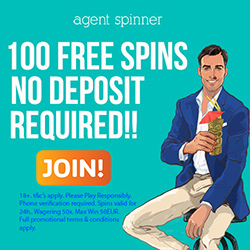 This means that if you deposit $10 AUD into your casino account, then you will get an extra $10 AUD bonus and begin playing with $20 AUD. Players may only have one casino account at All Australian Casino. The wagering requirement for the Welcome bonus is 20 times the bonus amount, and must be wagered within 30 days before you can withdraw any winnings. All other bonuses have a 35x wagering requirement. The minimum deposit that you need to make in order to receive a bonus is $10 AUD. The maximum amount that can be withdrawn is five thousand dollar ($5000 AUD) per working day. Make a deposit at All Australian Casino using the following options: Neteller, Skrill, Poli, Ukash, Visa, Wire Transfer, Bank Transfer, and Mastercard. These are the withdrawal options: Bank Transfer, Skrill, Neteller, and Wire Transfer. Bank transfers and E-wallets (Neteller & Skrill) take 24 hours, while Credit Cards/Debit Cards (VISA) take 1 working day. There is no pending period at All Australian Casino. You can play at All Australian using the following currency: AUD. All Australian Casino has a helpful and efficient customer support team that strives to meet your every need. If you have any casino-related issues, contact the customer care team via Live Chat, email or by phone.